All contents are Copyright © Rochelle Municipal Utilities All rights reserved. No portion of this service may be reproduced in any form, or by any means, without prior written permission from Rochelle Municipal Utilities. The following rules and regulations apply to all visitors to or users of this Web Site. By accessing this Web Site, user acknowledges acceptance of these terms and conditions. Rochelle Municipal Utilities reserves the right to change these rules and regulations from time to time at its sole discretion. In the case of any violation of these rules and regulations, Rochelle Municipal Utilities reserves the right to seek all remedies available by law and in equity for such violations. These rules and regulations apply to all visits to the Rochelle Municipal Utilities Web Site, both now and in the future. Rochelle Municipal Utilities hereby authorizes you to copy materials published by Rochelle Municipal Utilities on this Web Site solely for non-commercial use. No other use of the information is authorized. In consideration of this authorization, you agree that any copy of these materials which you make shall retain all copyright and other proprietary notices in the same form and manner as on the original. Except as specified above, nothing contained herein shall be construed as conferring by implication, estoppel or otherwise any license or right under any patent, trademark or copyright of Rochelle Municipal Utilities or any third party. ALL CONTENTS ON THIS SITE ARE PROTECTED BY COPYRIGHT. 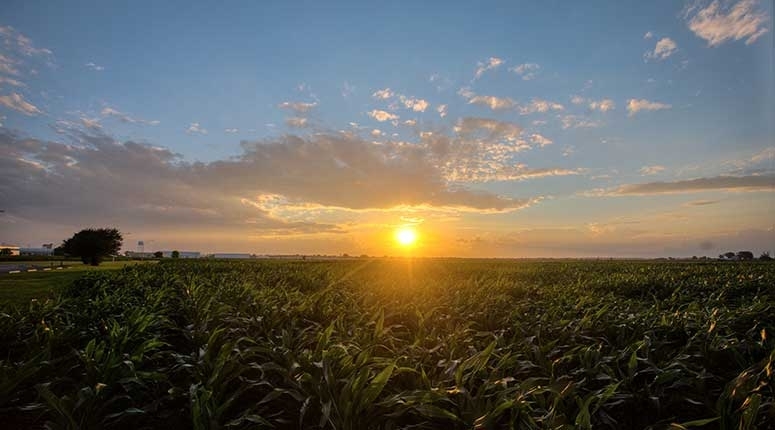 EXCEPT AS SPECIFICALLY PERMITTED HEREIN, NO PORTION OF THE INFORMATION ON THIS WEB SITE MAY BE REPRODUCED IN ANY FORM, OR BY ANY MEANS, WITHOUT PRIOR WRITTEN PERMISSION FROM Rochelle Municipal Utilities. VISITORS OR USERS ARE NOT PERMITTED TO MODIFY, DISTRIBUTE, PUBLISH, TRANSMIT OR CREATE DERIVATIVE WORKS OF ANY MATERIAL FOUND ON THIS SITE FOR ANY PUBLIC OR COMMERCIAL PURPOSES. The trademarks, logos and service marks ("Marks") displayed on this Web Site are the property of Rochelle Municipal Utilities or other third parties. Users are not permitted to use these Marks without the prior written consent of Rochelle Municipal Utilities or such third party which may own the Mark. " Rochelle Municipal Utilities" is a registered trademark of Rochelle Municipal Utilities. Although Rochelle Municipal Utilities has attempted to provide accurate information on the Web Site, Rochelle Municipal Utilities assumes no responsibility for the accuracy of the information. Rochelle Municipal Utilities may change the programs or products mentioned at any time without notice. ALL INFORMATION PROVIDED ON THIS WEB SITE IS PROVIDED "AS IS" WITH ALL FAULTS WITHOUT WARRANTY OF ANY KIND, EITHER EXPRESSED OR IMPLIED. Rochelle Municipal Utilities AND ITS SUPPLIERS DISCLAIM ALL WARRANTIES, EXPRESSED OR IMPLIED INCLUDING, WITHOUT LIMITATION, THOSE OF MERCHANTABILITY, FITNESS FOR A PARTICULAR PURPOSE AND NONINFRINGEMENT OR ARISING FROM A COURSE OF DEALING, USAGE, OR TRADE PRACTICE. Rochelle Municipal Utilities AND ITS SUPPLIERS SHALL NOT BE LIABLE FOR ANY INDIRECT, SPECIAL, CONSEQUENTIAL, OR INCIDENTAL DAMAGES INCLUDING, WITHOUT LIMITATION, LOST PROFITS OR REVENUES, COSTS OF REPLACEMENT GOODS, LOSS OR DAMAGE TO DATA ARISING OUT OF THE USE OR INABILITY TO USE THIS SITE OR ANY Rochelle Municipal Utilities PRODUCT, DAMAGES RESULTING FROM USE OF OR RELIANCE ON THE INFORMATION PRESENT, EVEN IF Rochelle Municipal Utilities OR ITS SUPPLIERS HAVE BEEN ADVISED OF THE POSSIBILITY OF SUCH DAMAGES. If you prefer not to receive cookies on the Rochelle Municipal Utilities website, you can set your browser to warn you before accepting cookies and refuse the cookie when your browser alerts you to its presence. You can also refuse all cookies by turning them off in your browser. You do not need to have cookies turned on to use any area of the Rochelle Municipal Utilities website. This Web Site may contain links to third party sites. 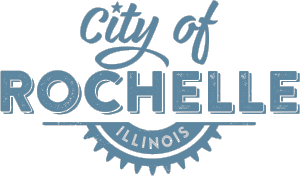 Access to any other Internet site linked to this Web Site is at the user's own risk and Rochelle Municipal Utilities is not responsible for the accuracy or reliability of any information, data, opinions, advice or statements made on these sites. Rochelle Municipal Utilities provides these links merely as a convenience and the inclusion of such links does not imply an endorsement. 8. Access to Password Protected/Secure Areas.